Ian Gordon is a management consultant with over thirty years of marketing and strategy experience. He is president of Convergence Management Consultants in Toronto, Canada, where he heads the Relationship Marketing-CRM practice, assisting clients to develop customer acquisition and relationship management strategies. He has worked with companies such as Alcan, Amadeus, Apple, Bell Canada, Canada Post, Chrysler, Eastman Kodak, Ethyl, Experian, Ford Electronics, General Electric, Goodyear, HP/Compaq, IBM, Kodak Canada, MasterCard, Microsoft, Mitel, NCR, Nortel Networks, Ontario Power Generation, Parker Hannifin, RBC, Thomson Reuters, Toshiba, Westinghouse and Xerox. 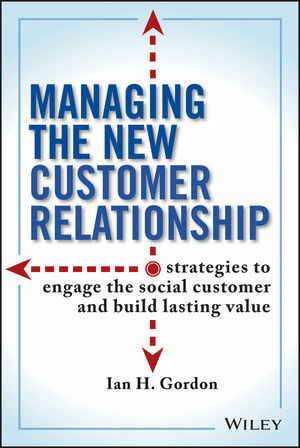 Ian is author of three previous books including the best-selling Relationship Marketing: New Strategies, Techniques and Technologies to Win the Customers You Want and Keep Them Forever (John Wiley & Sons Canada, 1998). He was the founding president of the Association for the Advancement of Relationship Marketing, and a past president of the Industrial Marketing and Research Association of Canada. He has lectured in relationship marketing, CRM and other marketing courses to undergraduate and MBA university students for over 20 years.